Former presidential candidate and U.S. Sen. Bernie Sanders will introduce legislation to discourage companies from relocating jobs offshore. The legislation would punish offshore decisions with loss of tax breaks and government contracts and impose an "outsourcing tax" on firms that proceed nonetheless. The proposal, announced this weekend, singles out United Technologies for its decision to close its Carrier Corp. manufacturing plant in Indianapolis and relocate operations to Mexico. Sander's proposal is ostensibly aimed at manufacturing relocations, but his proposal is broad enough that it may affect IT offshoring decisions as well. Most affected will likely be those firms that do both, namely large IT companies that receive government contracts and also run manufacturing and software development operations here and abroad. As of 2015, tech manufacturing employment accounted for about 9 percent of the total base of manufacturing employment – or about 351,000 employees, said CompTIA, an industry group. Sanders made offshore outsourcing a high-profile issue in the presidential campaign, and was one of 10 senators who signed a letter in 2015 asking for an investigation into Southern California Edison's decision to move IT jobs offshore. 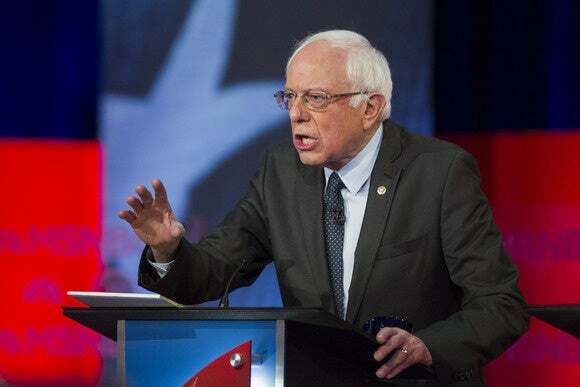 While Sander's proposal does not mention IT jobs specifically, "IT jobs would go to Mexico along with everyone else," said Russ Harrison, the director of government relations at the IEEE-USA. About 1,400 people are employed at Carrier's Indianapolis plant, according to the United Steelworkers local that represents many of the workers. (A video captured the moment in February when the employees were informed.) The union did not have an estimate on the number of people employed in IT at the facility. The first phase of the plant relocation is expected to begin in the middle of 2017. "I am working hard, even on Thanksgiving, trying to get Carrier A.C. Company to stay in the U.S. (Indiana). MAKING PROGRESS - Will know soon!" Sanders, in his statement about offshore outsourcing, said that Trump "made a 100 percent commitment to prevent United Technologies from shipping" the jobs to Mexico. "All of us need to hold Mr. Trump accountable to make sure that he keeps this promise" the Vermont senator said. Sanders' "Outsourcing Prevention Act," would bar companies that outsource jobs offshore from receiving future federal contracts, tax breaks and grants of loans from the U.S. government. It would also impose a tax "equal to the amount of savings achieved by outsourcing jobs or 35 percent of its profits, whichever is higher." It would put "stiff tax penalties" on executives of these firms, attacking their golden parachutes, stock options and bonuses. It's not clear when Sanders will submit this legislation to Congress. Trump has proposed financial penalties, through higher tariffs, on companies that relocate manufacturing operations overseas. Trump also plans to attack the H-1B visa program, which is used by IT services firms to help move technology work overseas. The proposal could "definitely" affect IT services outsourcing, said David Rutchik, executive managing director for business transformation and outsourcing advisory firm Pace Harmon. But he said the proposal is "quite extreme, impractical and could make American industry noncompetitive." Rutchik said he doesn't expected the legislation to pass. "This looks more like an imposition of criminal sanctions, not legislation addressing what is and has been permissible and lawful activity," Rutchik said. The proposal is "so sweeping that certainly IT would be included," said Rutchik. "If an American job is moved offshore, then it appears it would be covered by the proposal."